As the year 2012 drew to a close, there were different events that people were looking forward to. Many people were looking forward to the holidays and New Year’s to spend time with family and friends. Others anticipated the apocalypse due to the Mayans inability to make a calender past the year 2012. I however was getting excited for a different event that wouldn’t take place until the start of the new year. I had registered for MAGFest 11 and I was seriously more excited about this event than Christmas or New Year’s Eve combined. It was my first time going to MAGFest and I can now report, after returning home and getting some sleep to recover, that it is a complete blast!! For those who don’t know, MAGFest stands for Music and Game Festival. It’s a four day festival that features gaming, video game music, and various panels on gaming and entertainment topics. This year the two featured music guests where Yuzo Koshiro, composer of music for the Ys series and Actraiser, and Kinuyo Yamashita, composer of music for Castlevania and Mega Man X-3. Before this festival the only other video game convention that I had been to was PAX East and that was only for one day. I had been told by a few people that MAGFest was a very different type of experience. It’s not as crowded, it avoids using any corporate sponsorship, and has a more party like atmosphere than other conventions. It sounded like something I would enjoy as a gamer and a musician, so I registered for the full four-day event. True to what people described, this event was not as crowded as other festivals or conventions that I’ve attended. On the first day, I made sure to get there extra early in case there were long lines for the opening ceremony panel room. I discovered though that I was in no real danger of missing out due to overcrowded events. In fact almost none of the panels had to turn people away due to over-attendance. The “Opening Hijinks” Panel was one of the best things I could have gone to for my first day at MAGFest. A group of the people who run MAGFest explained what the festival is about, how it started, and gave an overview of what kind of shenanigans were allowed/encouraged while we were here. At its core, the festival has always been run by people who are fans of gaming and the music of those games. The panel was informal and it really helped set the tone for the rest of the weekend. 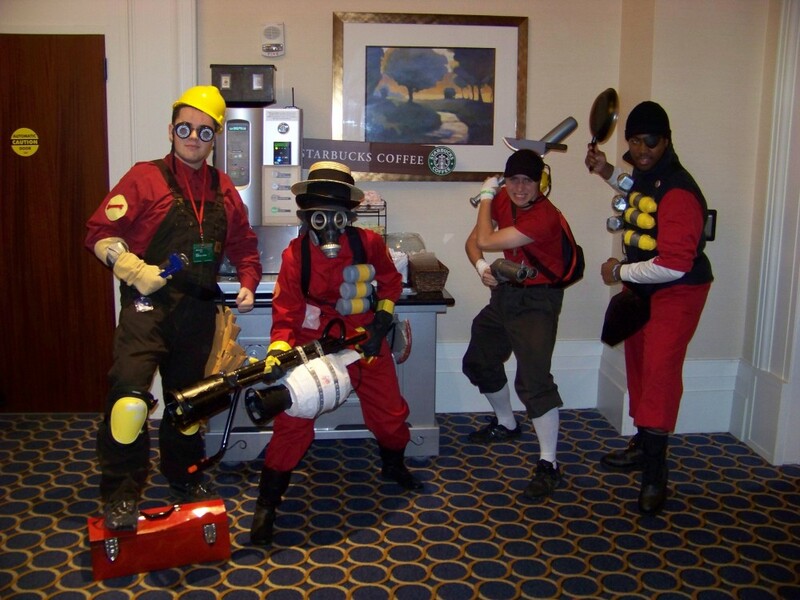 TF2 seemed to be some of the most popular cosplay at this year’s show. There were a good variety of panels happening at MAGFest 11. Subjects ranged from game audio, cartoons of the 80’s and 90’s, Game Maker Studio Tutorials, and the business side of being freelance to name a few. There were also a number of Q&A events with internet personalities such as Ego Raptor, Channel Awesome, Brentalfloss, Extra Credits, Bob “Movie Bob” Chipman and Team NChick. Although I was mostly interested in the game composer and game audio panels, I was able to go visit some of the other panels as well. All of them were very informative and all of the speakers took time to answer questions from attendees during and after the panels. The fact that most of the panels weren’t overcrowded allowed me to relax more about getting to the panels that I wanted to see, which helped make the festival much more enjoyable. The concerts, which usually ran from the early afternoon until late at night, featured a wide variety of bands. There were groups like Metroid Metal and Overclocked University, which focused on rock covers of video game tunes, and others like the Triforce Quartet, a string quartet that played medleys of music from different game franchises. There were also other musicians that set up in jam spaces to do more impromptu performances and even some solo artists playing out in the halls. One of my particular favorites was a trumpet player in costume performing melodies and fanfare from The Legend of Zelda series. The best concerts at MAGFest 11, for me at least, were the Video Game Orchestra on Friday night and Yuzo Koshiro, on Saturday, acting as the DJ doing mixes with his own game music in an hour long concert. 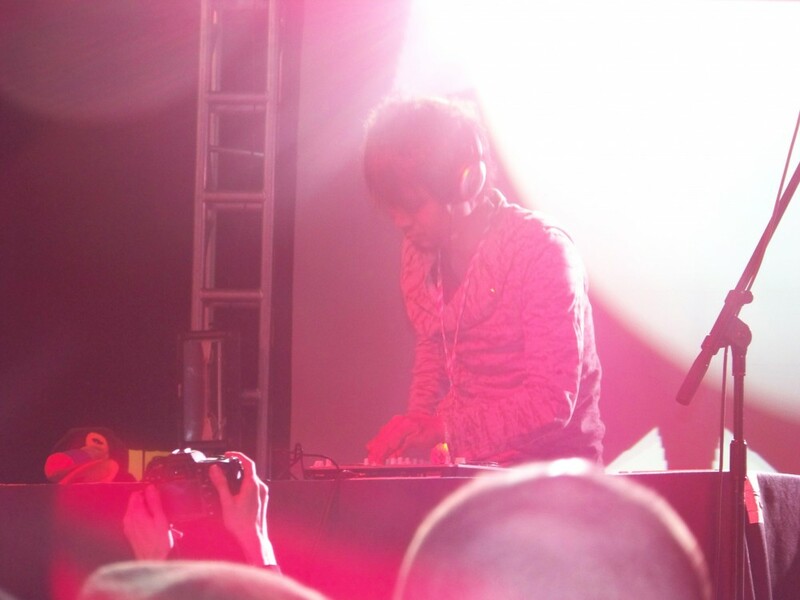 Yuzo Koshiro, composer of Actraiser and Ys, performed as a DJ. Yes, that actually happened and it was awesome! Overall, MAGFest was an amazing experience. There were lots of great things to do and it was one of the best festivals/conventions that I’ve been to. The panels were great, the music was amazing, and I got to meet and talk with tons of video game fans and members of the gaming industry. I’ll definitely be going again and I’d highly recommend it to anyone who is a fan of games and music. I’ll have a few more articles up on some of the specific music events and panels that I attended at MAGFest 11. Be sure to check them out later this week and next week. This entry was posted in Video Game Music and tagged gaming, Kinuyo Yamashita, magfest, Metroid Metal, video game music, Video Game Orchestra, video games, Yuzo Koshiro by Michael Hoffmann. Bookmark the permalink.